Does Chanticleer host weddings or private events? No, Chanticleer does not host weddings or private events. 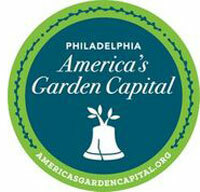 We suggest that you explore other public gardens within 30 miles of Philadelphia, many of which have event rental spaces: America’s Garden Capital. Can I have a professional photo shoot done at Chanticleer? No, wedding, family, engagement, and portrait photography is not permitted in the garden. Please visit our Photography in the Garden page to learn more. Does Chanticleer allow photos/videos to be taken? Yes, Chanticleer encourages guests to take casual photographs and videos of their visit for personal use. However, personal photographs and videos may not be used for commercial purposes. Can I bring my pet to Chanticleer? Chanticleer permits trained service animals in the garden. Visitors may not bring pets into the garden and should not leave them unattended in their vehicles during their visit. Are tripods and easels allowed in the garden? Yes, we ask that artists and photographers set up on lawns or terraces and allow adequate space for movement around where they are working. Does Chanticleer have parking facilities? Is it free? Parking at Chanticleer is free. Our parking lot holds 120 cars and can fill on weekends and Friday evenings. Please car pool and understand that once we reach capacity, you will need to wait until the parking staff directs you to an open spot or plan to visit at a non-peak time. If you are planning to visit Chanticleer during a peak visitation time, consider taking a hired car (Taxi, Lyft, or Uber), riding a bike, or walking to ensure that you are able to access the garden without having to park your car. Our peak visitation times are Friday evenings in the summer from 5:00 pm to 8:00 pm and weekends between 11:00am – 3:00pm, although these are subject to good or bad weather. Reserved handicapped parking is available near the entrance. Guests may drop off passengers at the entrance using the traffic circle as you enter the parking area. Can I bring my own food and drink to the garden? Yes, Chanticleer has a carry out policy but guests are welcome to pack a picnic and enjoy it in one of our picnic areas. On Friday evenings from 5pm to 8pm (May through Labor Day), we welcome you to picnic throughout the garden. The one exception is Mother’s Day, when we do not allow picnicking. Does Chanticleer offer Wi-Fi access? No, Chanticleer does not offer Wi-Fi access to the public. Can I smoke in the garden? Chanticleer is a smoke, and vape, free environment. Guests may not smoke or vape in the parking lot area, or anywhere else on the property.